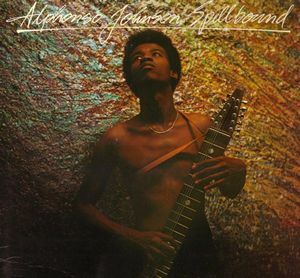 Third and last album (for the 70's anyway) from the ex-Weather report bassist Alphonso Johnson, this time helped out by from what it looks like a set-group (this might have been a regular band, maybe they even toured) and in the reduced guest list, only Pat Thrall (future Pat Travers Band and Glen Hughes) rings a bell to yours truly. A rather boring photo, but showing the Chapman graces the album's cover. If Johnson appears with that now-famous Chapman stickon the cover, the least we can say is that it is all over this album as well >> it can even serve as a demo for the instrument makers.. The first half has three sung tunes, which is generally not good news in jazz-rock, but then again, most of the tracks on that album don't really qualify as such (funky jazz-funk at most ;o))). Nothing really transcendental or even remotely interesting on this side. Musically, this album is all over the map, a bit like the other two, but again there are four sung tracks, even if the sidelong suite Earthtales only gets a couple lines, twice. Don't get your hopes up to high about it though?. The first half is downright boring (nothing exciting happening), but around the 2/3 mark, it does get more exciting as they all crank up the volume and passed on the third gear? there are good moments in there, but unfortunately a bit tempered by disputable synth sounds of the late-70's. 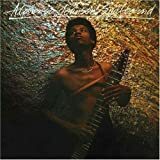 Just like his other two 70's albums, this is hardly essential (except for the Chapman stick), and if you want to discover his works, I suggest you start with Yesterday's Dream. 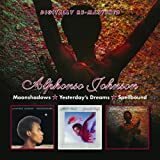 Post a review of ALPHONSO JOHNSON "Spellbound"